Today we're going to talk about all of the different medical terminology as it relates to plastic surgery, but this kind of came about because of a couple of things. 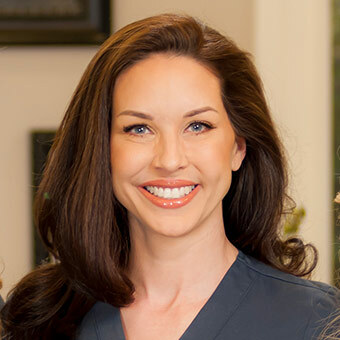 We've transitioned a lot of our injectables in the last year to my nurse practitioner Katie, and we do have patients ask is she qualified to do it, what's the difference between a nurse practitioner and a doctor. Then of course there's this ever evolving debate about cosmetic surgery versus plastic surgery versus board certified. There's so much terminology out there and I think it really can get confusing for people. So I want to start with medical school. Every doctor, whether they're DO or MD does four years of medical school before completing specialized training in residency. Residency is anywhere from three to eight years depending on what specialty you go into. That's where you get the training that's specific to the field you're going to be practicing in. Almost everybody does a general intern year. If you're in surgery, it's like a general surgery intern year. If you're in medicine, no matter what specialty, you do kind of a general internal medicine internship year. Then it's get more specialized the more years you go. Once you've completed your residency, if you're working in a hospital system, they call you an attending at that point. That means you're in charge, you're able to independently practice and you don't need somebody supervising you. The nurse practitioner and the PA, they follow a completely different path. They sometimes have many years of education and many years of training after their education and specialization, but they're training path is completely separate. There's no medical school. It's more similar to a nursing style program where there's one educational block and then some clinical training in the hospitals after. There's more subtlety to it than that. Nurse practitioners and physician assistants in some states are considered independent practitioners. They can open their own office. They can work without someone's supervision. California is a big example of this. They can have their own independent practice. Some of them are very educated, very smart, and very good practitioners. Most of the time at an urgent care facility you’re seeing a nurse practitioner or a PA. Everybody knows that anesthesia has kind of transitioned from board certified anesthesiologists who are MDs or DOs to using CRNAs, which are nurse anesthetists. Again, everybody comes back to this well they're just a nurse. Well first of all that ticks me off entirely because I remember the first time I started an internship. One day I was a fourth year medical student, the next day I'm a doctor. It literally happens like that overnight. My first rotation was in a surgical ICU. Forty-four beds of critical patients including heart and lung transplants, major traumas, and it's me and a second year resident. The first time somebody coded, I blanked. As I'm going through the ACLS protocol in my head and trying to figure out what to do, the nurse in the room just ran the whole code. I was calling things out too, but I could tell at that point that it's not so much the title or the training, it's the intelligence of the person, their commitment and their experience. For nurse practitioners and PAs, and for other types of practitioners like that, I think it's far more important to look at their clinical exposure and their years of experience, and what they spend their time doing. I would much rather have our nurse practitioner Katie inject me than an OBGYN who does Botox one day a week, or a dentist who does here it there for a smattering of patients that come in. She's doing it all day throughout the week, non-stop, back to back, back to back. All of her patients getting Botox are doing it for cosmetic improvement, not TMJ, or blepharo-spasm and she's going to all these extensive trainings too. She's always on the up and up evolving into whatever new is coming. Then we get into plastic surgeons versus cosmetic surgeons. I really want to do some clarifying because it can get really tedious and confusing with all the terminology. Board certified is something that is said a lot. The only boards that are recognized in the United States are the things that are associated with the American Board of Medical Specialties. There is no such thing as the American Board of Cosmetic Surgery. It just doesn't exist. We found that out because somebody was board certified in hair restoration, but it was not recognized by-It's not recognized by the ABMS, so it's not an official board. Any society or any group of people can just say we're going to call ourselves the American Board of Hair Restoration and we'll come up with a fee people have to pay, but it's not the same thing as board certified. You can go to the American Board of Medical Specialties and look and see the list of the 30 specialties that they absolutely recognize. The American Board of Plastic Surgery is an officially recognized board for plastic surgeons who've completed a formal plastic surgery training. The facial surgery has its own board. Oral-maxillofacial has its own board. But again, there's no cosmetic surgery board. For those physicians who are saying they're cosmetic physicians or cosmetic surgeons, plastic surgeons have to have three to five years of additional very specific training after general surgery. Cosmetic surgeons need to have one year of training, or they need to prove that they've done 1,000 cosmetic procedures over the course of five or six years. So they may have no additional education. It's used as a marketing technique a lot and people will put it all over their website, cosmetic surgery board. It's not a board, it's the American Academy of Cosmetic Surgery. I don't want to put them down because they do have their own criteria, but it's not the same thing. Technically plastic surgery is meant to encompass not only cosmetic surgery, which is what most people think of but also the entire host of reconstructive procedures. There are some plastic surgeons that have never and will never do a breast augmentation in their entire career. They're doing facial nerve reconstruction and cancer reconstruction, moving bones from the leg to the face and all these complicated things. Plastic surgeons who focus on cosmetic surgery generally don't buy into this American Academy of Cosmetic Surgery because there's what we consider a superior board for that which is the American Society of Aesthetic Plastic Surgeons. Again, it's not a board, but it is a group of board certified plastic surgeons that meet additional criteria above and beyond that to show that they're specialists in cosmetic surgery. I have the ASPS, the American Society of Plastic Surgeons, as well as the American Board of Plastic Surgeons, and the American Society of Aesthetic Plastic Surgeons. To do that, to have that, you have to do a certain number of cases of cosmetic surgery a year, and you have to have referral letters from other physicians. You have to been in practice three years. It's a pretty difficult accreditation to get. There are some really phenomenal surgeons out there, like we have a person down south who's still working for that, getting the cases done-who is extremely talented, but it's a long process. He's gone through as much training if not more than I have even with my years in practice because he's done so many fellowships, so that's another term. Fellowship means additional training after you've completed residency. Technically you could go out and start your own practice, you have all the credentials you need, but you want additional specialized training. That's where a lot of people get their specialized training in aesthetics, or cranial facial, meaning head and neck surgery. If you have somebody who's recently graduated, they may be something called board eligible, which means they meet all the criteria for becoming board certified, but they just haven't jumped through all of the administrative hoops yet. Dr. 90210 was not certified, and I found out from one of the guy's that examined him in the boards at one point that he had failed his boards three times. Does that mean he's a bad surgeon? Not necessarily because the American Board of Plastic Surgery covers cleft lip and palate, hand surgery, lower extremity reconstruction, things you don't need to know to be a cosmetic surgeon. If he took his boards years after finishing his residency, he might not have remembered that information. Do some research because if that is a really important thing to you, then go on those websites and look it up and see who is. Chief of surgery is a mainly administrative title. Depending on where you are there can be a lot more weight and prestige thrown behind it, or it can just be you're the one who wants to do the administrative tasks and there's only a few surgeons on staff at that particular hospital. In and of itself it doesn't mean somebody's better, or more experienced, but it does mean they are committed to serving their community and holding a position at a hospital, and that they at least have their stuff together enough that they're considered a resource at the hospital and they can help coordinate the staffing of the emergency room by plastic surgeons, and coverage, and things like that. But, it doesn't mean they're better than all the other surgeons. It's not like a voted position. It's not an elected position. It's just an appointed position based on administrative tasks. I think we should touch on the CRNA. It's important to keep covering. When I first opened the OR, I was really committed to using board certified anesthesiologists. Part of it was because me fearing needing to be in charge of someone doing anesthesia because I'm supposed to be focused on surgery. Part of it was because I thought patients would just want board certified anesthesiologists. When we started doing anesthesia, for many reasons we ended up giving it a try with a group of certified registered nurse anesthetists and I was immediately blown away with how calmly and smoothly they did the anesthesia, how light the anesthesia was compared to most traditional board certified anesthetists, and just how quickly people woke up, and how they were less nauseated because they use different medications, potentially. This does not apply to all CRNAs or all board certified anesthesiologists, but in general, again it comes back to experience. A lot of cosmetic surgery centers have used CRNAs for a long time, and so they get used to working in an outpatient setting. Many of the hospitals that have both anesthesiologists and CRNAs, the CRNAs are doing a majority of the work and the anesthesiologists are kind of popping from room to room supervising. That's what really gave me the confidence to believe in them was the fact that many other cosmetic surgeons who have had their own OR for years and years are using this group. That's a specific indication you can get if you completed a general surgery. It's almost like the board's equivalent of being board certified as a general surgeon. You'll see that with a lot of plastic surgeons because there's two ways to become a plastic surgeon. Either you can become a general surgeon, or an ENT, or another type of surgeon first, and then switch over to plastic surgery for a fellowship, or there are things called combined programs where you can be accepted into a plastic surgery training program as an intern, do a couple of years of general surgery, and then in the same program finish out in plastics. That's what I did. Some plastic surgeons will be boarded by general surgery and plastic surgery, some will only be plastic surgery because like me they never finished a complete training in general surgery. I think for certain types of plastic surgeons that might come in handy. If you specialize in abdominal wall reconstruction-hernias, it sure helps to have operated a heck of a lot more on the intestines, and hernias, and intra-abdominal problems, and vascular surgery, and things like that. But for the cosmetic surgeon, I'm not sure it's really that big of a factor. Truthfully, what I think most of it comes down to is experience. Not that everybody is going to have the same number of years of experience, but the number of cases they do can vary widely. Someone could have been out for 20 years, but if they don't do that much cosmetic surgery they're still not going to be as experienced as someone who's got three years and does a lot of cosmetic surgery. You can ask the surgeon how many of these cases do you do a year. They may give you a truthful answer, they may not. But to see whether that's reliable information you can go look at the reviews and see which procedures the patients that are leaving the reviews have had. On Real Self, where we're a provider, they just started listing and breaking down per surgeon where their reviews come from. For example, like 35% of ours are breast, and then there's like 10% labia, and then 10% face and eyes and a mix of other things. We're pretty well spread out across the board, but you can tell we do a lot of breast and labia surgery. It will clarify people's credentials, and they do have reflections of the doctor's active participation on the site with how many patients leave reviews, how many questions of patients they answer. That ranking system, because it's not something that the surgeons themselves are initiating, is pretty reliable. So, I just want to leave people with a few specific sites to check out. You can go to the American Board of Medical Societies and look for what the actual board certifications are to find out if your surgeon's board is actually real. If they claim an accreditation, you can always go to that website, the American Academy of Cosmetic Surgeons--type their name in and search for them and it will show up. You can go to the Florida Department of Health website and search for individual practitioners and it will show if they have any malpractice cases, if their license has ever been suspended or revoked. You can go to the American Society of Plastic Surgeon's website for a lot of information on plastic surgery and surgeons that's reliable.